I love Abavuki. They are the most energetic band I have ever seen [my review their performance at Okarina festival 2015]. The Marimba led multi-instrumentalists change the stage line-up through their performance. Their Nights in Langa is a fine album and an excellent listen. Abavuki consists of eight accomplished musicians with over 12 years experience in creating their unique genre of World music. 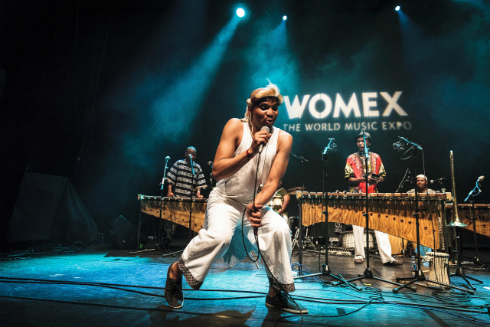 Using marimbas, percussion and brass instruments, they weave traditional African rhythms and melodies into a contemporary format which is highly accessible to a wide audience. Their high-energy style of music is uplifting and very danceable. Born and raised in Langa, Cape Town, they are using their love of music and performance to rise above their circumstances and to help others do the same. But to really enjoy then, you need to see them perform live.